Is being apple- or pear-shaped healthier? Your body shape can influence your health (Thinkstock photo). Good health is determined not only by a healthy weight but also by a healthy waist size and body shape. Increasingly, doctors are using waist size and body shape, along with body weight, to predict your risk for chronic health conditions such as high blood pressure, heart disease, diabetes and stroke. There are two main body shape types that are related to your health – apple and pear. Your body shape, which can be determined by using the waist-to-hip ratio (WHR), is important because it indicates the fat distribution in your body. People who have apple-shaped bodies carry more weight around their abdomen. Those who have a pear-shaped body have a narrower waist and carry more weight around their hips and thighs. “Recent research indicates that the body shape type of both men and women is also an indicator of health risks. The risk for a person with an apple-shaped body habitus appears to be higher compared to another person who is pear-shaped,” says Dr Tan Hong Chang, Associate Consultant, LIFE Centre, Singapore General Hospital. 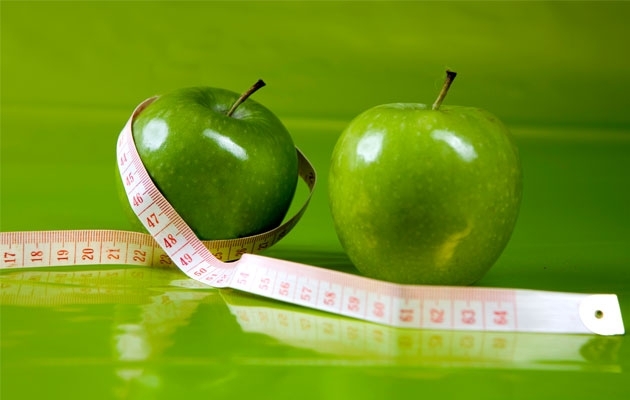 A Mayo Clinic study found that people with a “normal healthy” BMI and a thicker middle (apple-shape) were more than twice as likely to die of any cause. They were 2.75 times more likely to die of cardiovascular disease, than normal-weight people with a pear-shaped body. Related article: Asian BMI cut-offs are lower than Caucasians’, learn why. What is an ideal waist size, health-wise? Your health risk is directly correlated to your waist size. Your body shape can provide you with insight into your health risks. To find out if you are apple- or pear-shaped, calculate your waist-to-hip ratio (WHR). This is done by dividing your waist measurement by your hip measurement. To determine your waist circumference, measure around the smallest part of your waist, or about one inch above your navel. For your hip circumference, measure the widest part of your hip. Divide the waist measure by the hip measure to get your waist-to-hip ratio (WHR). If you have an “apple-shaped” body habitus, your waist size is larger than your hip size. Health risk: Most of the fat in an apple-shaped person is distributed around the internal organs in the abdomen area. This can be associated with a greater risk of heart disease, diabetes and stroke. If you are a pear type, your hip section is likely to be wider than your upper body, with most of the fat deposited around your thighs, hips and buttocks region. Health risk: Having a pear body shape indicates a lower metabolic risk compared to an apple body shape. “Your diet, level of activity and the type of exercise you do, together with genetic traits can affect the fat deposition and distribution in your body,” says Dr Tan. Maintain a well-balanced diet that is appropriate to sustain a healthy body weight. Cut back on saturated fats found in high-fat dairy and red meat, and hydrogenated oils found in processed foods. Instead, opt for a low-fat diet that includes low-fat dairy foods such as milk, yogurt and cottage cheese. This can help break down stubborn fat cells in your hips and thighs. Do regular exercise of moderate intensity at least 20-30 minutes a day, at least five times per week.